Those who have found true happiness have discovered that it cannot be found through the ego or by the fulfillment of desires. This little anecdote is a clever way to convey that message. Fulfilling your desires can produce occasional bursts of happiness, but the pleasures of the material world are both fickle and fleeting. Getting exactly what you want may make you happy today, but it may be the opposite of what will make you happy tomorrow. Instead of fretting about having what you want, you will be happier and more peaceful if you focus on wanting what you have. Would you like to live a more positive, peaceful life? Follow these three simple rules and you will. 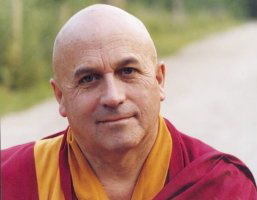 I was intrigued by Matthieu Ricard‘s Buddhist-flavored thoughts on the art of happiness. Plus, it’s the first time I’ve seen a Buddhist monk quote Ayn Rand! Here is the Q&A article by Justine van der Leun of AOL Health.